Some of the most respected and long-standing names in the game will be showing off their latest innovations and designs in trailer technology at the 2019 Brisbane Truck Show. 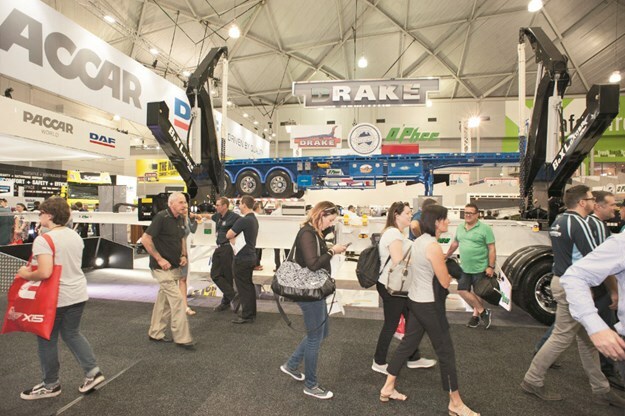 The trailer, tanker and body manufacturer section always attracts attention and this year promises to be huge, with more than 30 exhibitors setting up shop in the not insubstantial Foyer of the Brisbane Convention & Exhibition Centre. From live bottom floor advances to innovations in B-double tanker trailers to the latest in fibreglass refrigeration, wherever progress has been made it will be unveiled in Brisbane. Safety and fuel-efficiency are once again key themes, with compliance and growing concerns over margins still major talking points in the road transport industry. More than anything the show provides attendees with the chance to meet industry leaders with decades of experience, voice concerns and share opinions. Trailer manufacturers have usually seen it all and are more than happy to have a chat. You might even leave with something new. We take a look at a few exhibitors with products to crow about. NSW-based Muscat Trailers take pride in building no two trailers the same. 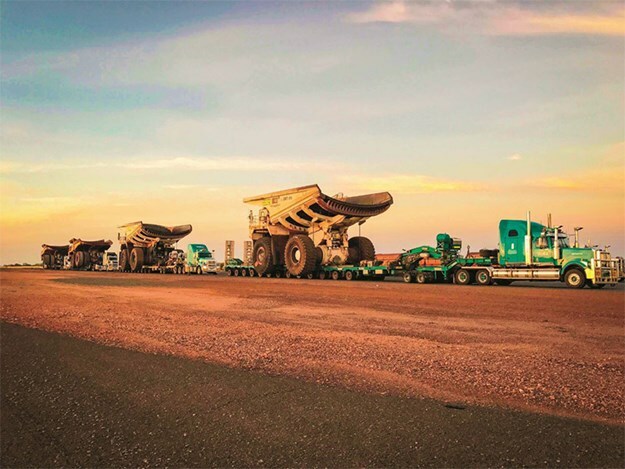 The company’s inception dates back to the 1960s and over that time its repertoire has expanded to more than 20 different style designs, from road train to side tipper to truck and dog to semi tipper. Recent years has seen Muscat make a big splash in the live bottom floor market, and the Brisbane Truck Show will see it showing off a new concept. General manager Peter Davis says the team is looking forward to exhibiting a truck and four-axle dog combination, featuring a live floor fitted to the truck and dog. "The combination will feature a truck and tridem rear axle group set-up, with single steer and 4AD with single pole style drawbar for better jack-knifing ability," he says. The major benefits, according to Davis, will be the ability to cart the same amount of product as a conventional tipper, loaded in the same way, but operating safer by not having to enter tipper-exclusion zones. "This new set-up negates the need for tipping either truck or trailer, which brings a much-needed safety feature to the industry for local commodity plants where exclusion zones make tipping conventional tippers a hazard," he explains. "It will improve the safety greatly for live traffic road works by not having tipping trailers directly next to a live traffic lane. We’re really excited to show off this new combination." Davis says the Brisbane Truck Show is an invaluable chance to connect with customers and participate in discussions pertinent to whichever area of the road transport industry you have a foot in. "Muscat Trailers is proud to support the Brisbane Truck Show, and all the effort that the associations put back into the industry to make our transport industry safer for the whole community. Our team will be there in full force ready to answer any questions or consult on any new ideas that customers have. We are there to help," he says. 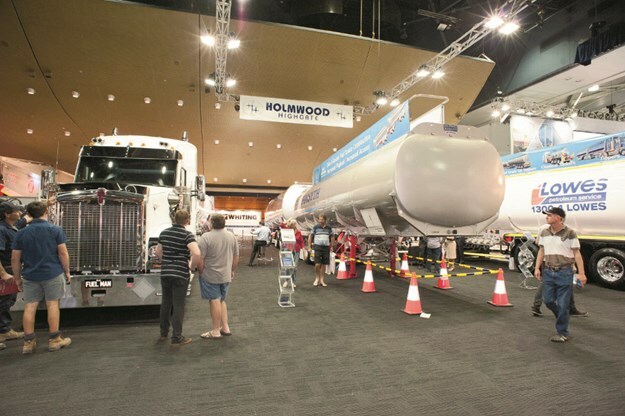 Brisbane-based tanker manufacturer Holmwood Highgate will be comfortably on its home turf for the show, and will be displaying a star-studded range of aluminium tankers for petroleum, chemical, bitumen and specialised use. "Anyone can weld steel," says Holmwood Highgate national sales director Ian Williamson. "But not everyone can weld aluminium. Our welders are leaders in the field." It’s the kind of expertise that has been honed since the company kicked off in 1950 as AMA Industries. It was soon making tanks for Shell and Caltex and established its reputation for faultless workmanship and dedication to detail. "We’re proud to be one of the leaders," says Williamson. "Everything we build is built by Australians for Australian conditions. "We’ll be showing off the only Australian manufactured tankers at the show." Attendees will be able to check out Holmwood Highgate’s 26-metre B-double, built for IOR Petroleum. "It’s got the latest Hendrickson INTRAXX suspension, which really is field-leading," says Williamson. "The mileage and the weight saving is great. The trailers we’re bringing to the show could end up anywhere in Australia." Holmwood Highgate has recently developed a new ammonium nitrate tanker, due to hit the market within months, and in 2017 announced a contract to supply more than 250 stainless steel liquid modules and integrated tankers for the Australian Army’s Project Land 121. The relationship with armed forces has since expanded, with Holmwood Highgate announcing in February it has signed a contract with the US Army Petroleum and Water Systems (PAWS) to provide a mobile tactile retail refuelling system prototype. "The trailers are built to the latest standards: AS 2809, and are fitted with the latest EBS roll stability," says Williamson. But where most of the pride comes from is the fact the trailers are still entirely Australian made, a not insignificant achievement considering the strain the industry comes under with the shirking margins for carting fuel. "That’s one of the reason we sometimes see customers go overseas for their trailers, looking to save money. But it comes down to quality. People don’t have issues with our products, but they’ve seen issues with the imported product," says Williamson. If you’re after specialist advice about Australian conditions then be sure to drop by the Holmwood Highgate stand. "Come and say hi," says Williamson. "We always get a lot of drivers come along and see us and have a good chat about life in their office. The truck show is run by the industry for the industry, and it’s always nice to see our customers." If Holmwood Highgate is the expert of aluminium then FTE must surely be the founder of fibreglass. 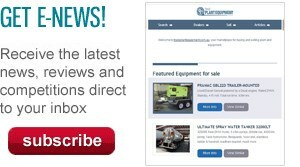 From its inception in Melbourne in 1975, FTE (Fibreglass Transport Equipment) has pioneered fibreglass plastics development in Australia, paving the way for fibreglass refrigerated van manufacturing. With fibreglass being a great insulator it made sense for FTE to invest in developing the technology required to produce the highest quality refrigerated vans possible. The trailers are still manufactured in Dandenong and the company supplies trailers to everyone from owner-drivers to multinationals. General manager Marcus Reid says FTE is pumped to part of the Brisbane Truck Show. "We’ll be showcasing our latest techniques in manufacturing thermally efficient equipment, which will be part of the build on the stand. We’re always progressing," he says. In a tease, Reid has revealed a surprise awaits attendees who drop by the FTE stand. "We’ll be showcasing one of our long-standing Queensland-based customer’s product. All I can really say now is it’s a B-double. We want people to turn up and be surprised. It’s got a particular spec that’s quite flash, and it’s not a show spec, it’s going to go straight to work. I think people will be very interested to see it," he says. Surprises aside, Reid says the Brisbane Truck Show is the preferred destination for anyone in the road transport industry. "It’s the show people want to go to, the one they choose. Some customers want to see new gear and others are just happy to have a coffee and talk about the industry and products in general and share information. Either way it’s really valuable, it’s a fantastic meet and greet," he says. Any truck or forklift driver who’s ever had to stand under a deck on a trailer while you manually adjust the height, pulling out and realigning support brackets, will appreciate the innovations Vawdrey has made in automating deck handling. Building from the locking system featured in its auto mezz deck range, Vawdrey will be showcasing its new auto lock and load deck system, designed to optimise deck handling and safety. Manually adjustable support brackets have been replaced with a system that ratchets through each locking position on the mezzanine deck posts when lifting, meaning you no longer need to stand under the deck, greatly improving safety as well as efficiency. According to Vawdrey, the new system also saves around 10 minutes for each deck movement. A pneumatic cylinder and two springs support the auto lock and load deck system, which defaults to the locked position for safety. Vawdrey describe the system as being an "absolutely essential consideration when investing in modern commercial road transport equipment. It reduces the risk of injury whilst streamlining road freight and materials handling tasks". The most mysterious reveal could well come from Graham Lusty, whose cryptic teases of its displays include a trailer that discharges from the side in an "unusual way," a trailer touting big improvements on a conventional rear discharging belt, and a trailer that promises an extra four tonnes on CLM routes. To discover more you’ll have to drop by its stand and see for yourself. History buffs and those with a soft spot for toys should put a visit to the Drake Collectibles stand on the must-do list. Included in the stand will be the original tooling from the first-ever Drake model trailer, commemorative merchandise, new diecast product announcements and revealing talks from the makers of Drake’s famous collectable die-cast models. The latest collectibles include replicas of the Drake 12x8 steerable platform low loader and new replicas of several Kenworth trucks. The Drake Collectables stand is sure to be a popular place to pick up some gifts or souvenirs from the show. The Drake Group is promising a different feel this time round to its trailer stand, too, with iconic trailers on display, with an emphasis on trailers with a premium finish. Ekebol, leading manufacturer of tilt slide trays and tow truck bodies, will be launching a new product for recovery work in the Australian market. Show attendees will have the first chance to discuss the new design with the team and learn a few secrets about the recovery market and what to look for when sourcing new and innovative gear. Always a stand-out due to the sheer size of displays, the trailer section at the Brisbane Truck Show promises to be a lot of fun and a great opportunity to make valuable connections, discuss the industry and stay up to date with the latest innovations.